There is no better way to build up a community than through a sport that requires teamwork, communication and reliability. We love to see people to going above and beyond their comfort zone; that’s why we find every opportunity we can to help them. 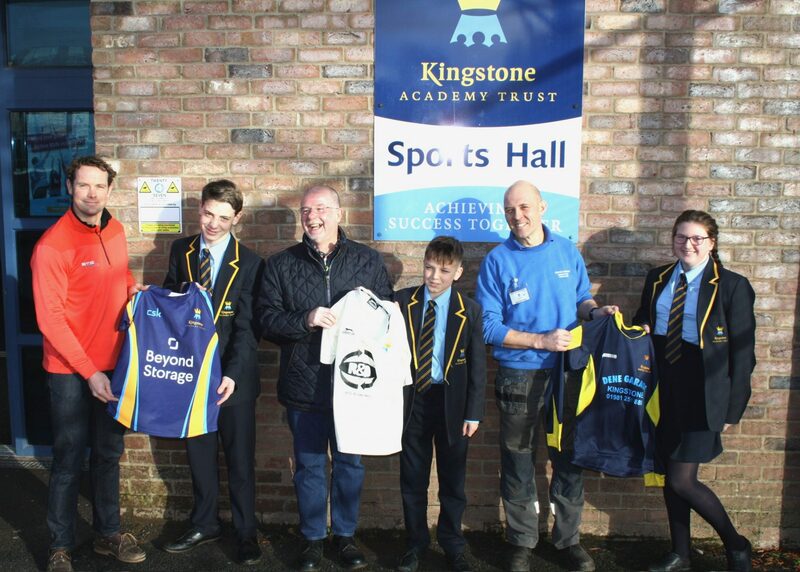 The PE Department of Kingstone High School were busy contacting local businesses since Summer 2017 to help support the purchase of new school sport kits. They eventually got in contact with us via our sponsorship opportunities page, and we were more than happy to help. We are now the proud sponsors of the Kingstone High School’s Rugby kits and have provided new kits for both the boys and girl teams. Their new kits will be worn with pride at local and regional competitions as each and every one of them goes beyond their comfort zones! The picture above shows the respective team captains recieving the kits! If you’re in need of sponsorship opportunities in Ross-on-Wye, Carmarthen, Stratford-upon-Avon, Leicester or Hereford, get in contact with us today! We are also happy to provide sponsorship to people outside of these areas, so either way, please don’t hesitate to contact us and get involved!